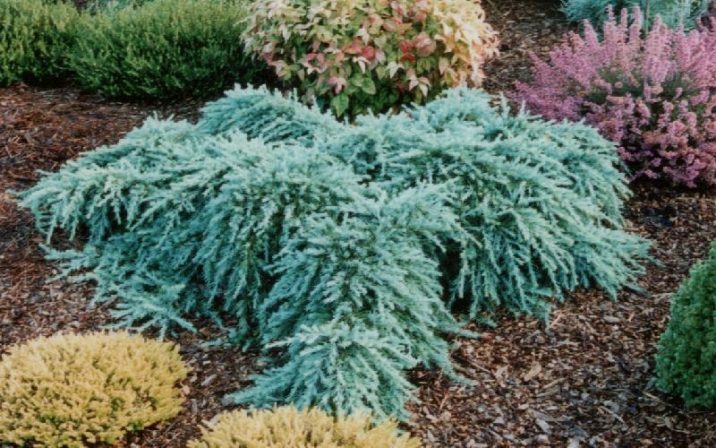 Cedrus deodara 'Feelin' Blue' is low growing, mounding, spreading selection of Himalayan cedar with long, thick needles with very good Blue color, especially in late summer. Occasionally older plants will develop a stronger lead shoot and begin growing more upright. If not desired, this strong growth can be easily pruned away. After 10 years of growth, a mature specimen will measure 1 to 2 feet (30 - 60 cm) tall and 6 feet (2 m) wide, an annual growth rate of 6 to 8 inches (15 - 20 cm), much more outward than up. This cultivar originated as seedling selected in the mid-1980s at H.C. Trimp & Sons Nursery, Boskoop, The Netherlands. 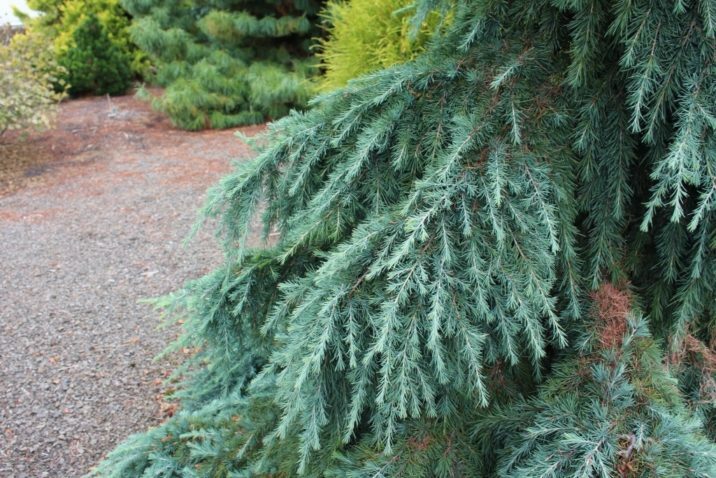 Cedrus deodara 'Feelin' Blue' 10 year old plant, late summer, Dorset, England. Cedrus deodara 'Feelin' Blue' — a closeup of foliage detail. 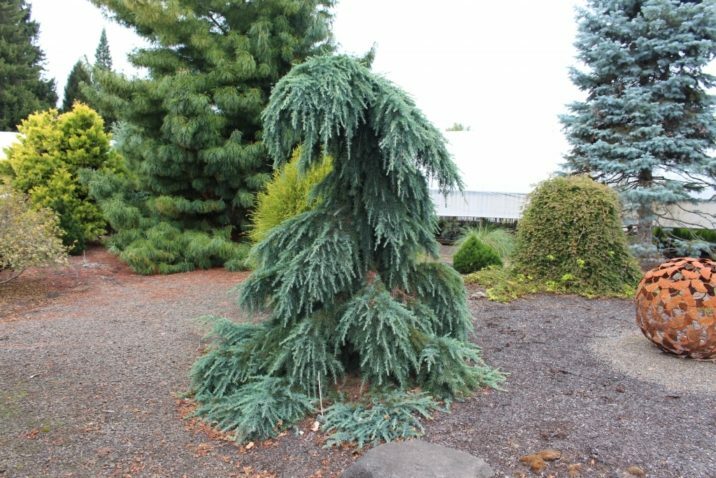 Cedrus deodara 'Feelin' Blue' at the Flora Wonder Arboretum in Gaston, Oregon. Staked specimens are exceptional in the landscape.